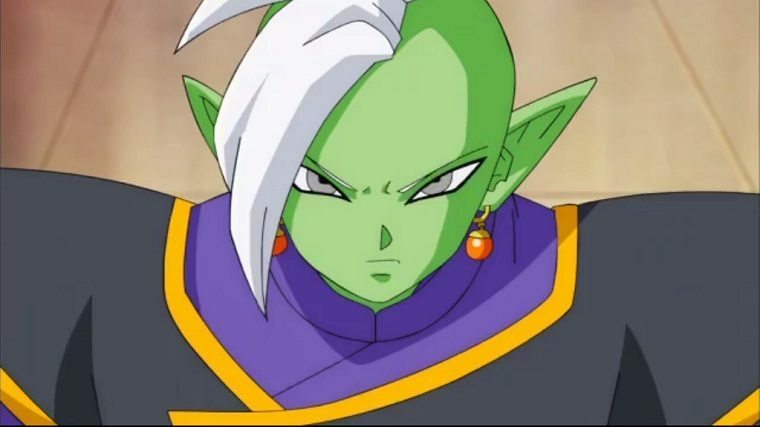 A Shinjin noted as a prodigy and apprentice to the Kaioshin of Universe 10, Gowasu, Zamasu is currently undergoing training to take up the mantle of Supreme Kai in his universe. He has a strong distrust towards mortals, seeing them as stupid and brutal. He is in some way connected to Goku Black, the evil entity from Future Trunks' timeline.